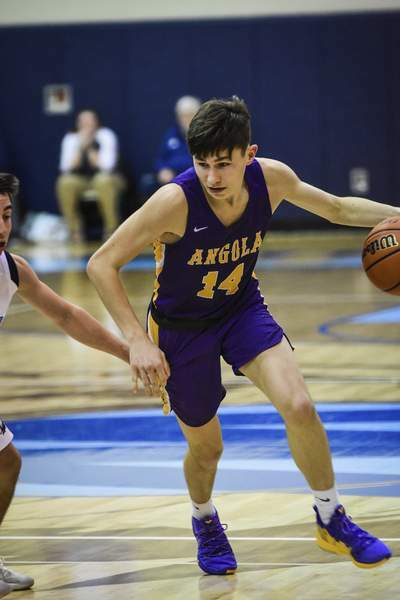 Mike Moore | The Journal Gazette Angola senior Blake Pocock passes the ball in the third quarter against Woodlan in Woodburn on Tuesday. 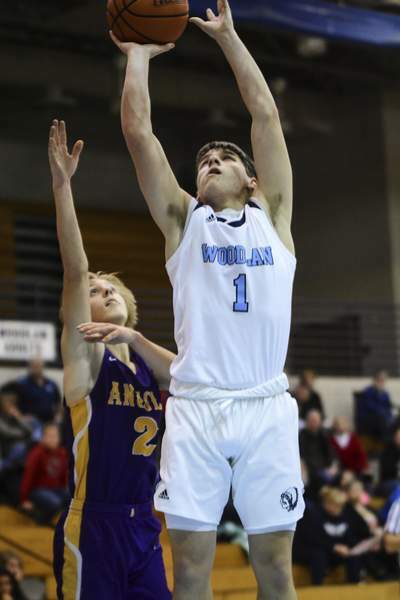 Mike Moore | The Journal Gazette Woodlan's Aiden Bayman goes up under the basket in the fourth quarter against Angola in Woodburn on Tuesday. Mike Moore | The Journal Gazette Angola junior Dyer Ball scores under the basket in the third quarter against Woodlan in Woodburn on Tuesday. 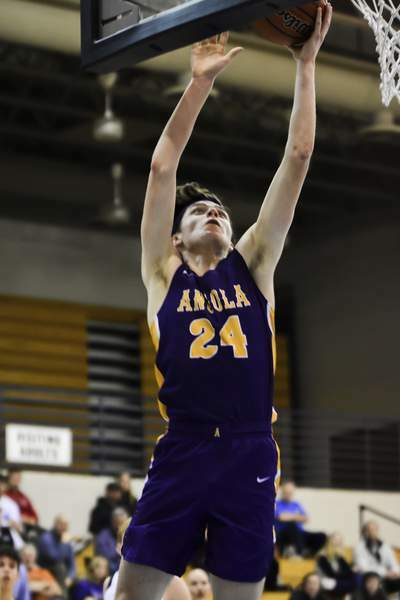 Mike Moore | The Journal Gazette Woodlan's Mitch Mendenhall takes a shot under the basket in the fourth quarter against Angola in Woodburn on Tuesday. 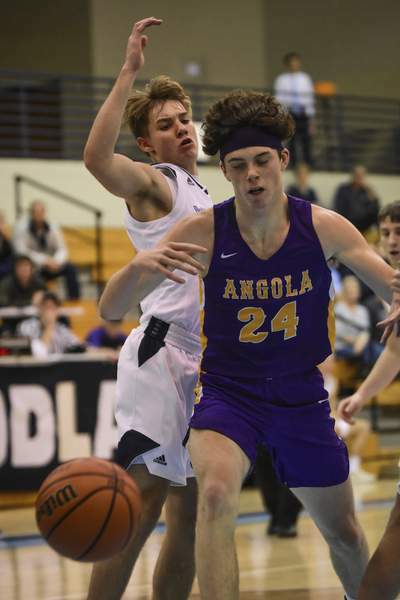 Mike Moore | The Journal Gazette Angola junior Dyer Ball has the ball knocked away from him by a Woodlan defender while driving to the basket in the third quarter in Woodburn on Tuesday. 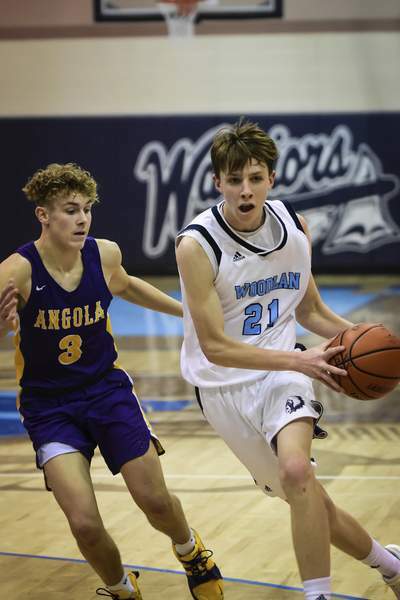 Mike Moore | The Journal Gazette Woodlan's Joe Reidy looks to pass the ball while driving to the basket in the fourth quarter against Angola in Woodburn on Tuesday. 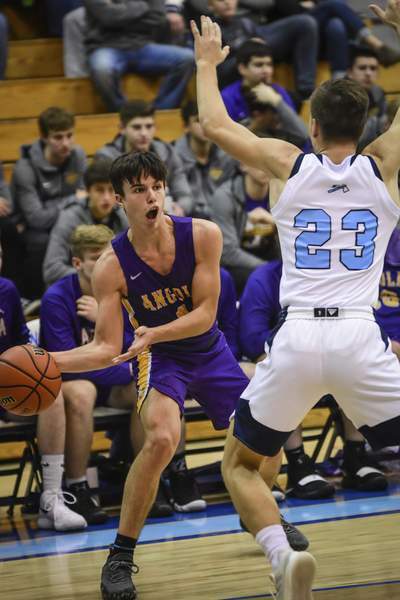 Mike Moore | The Journal Gazette Angola senior Evan Leach drives the ball down the court in the third quarter against Woodlan in Woodburn on Tuesday. 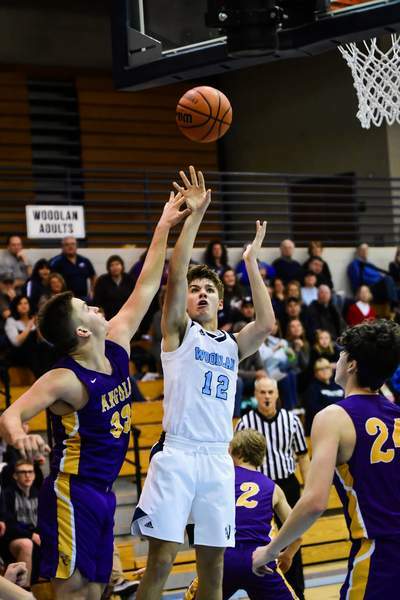 The Woodlan boys basketball team played host to Angola in Woodburn on Tuesday.